What do we mean by development? How can citizens, governments and the international community foster development? The process by which nations escape poverty and achieve economic and social progress has been the subject of extensive examination for hundreds of years.The notion of development itself has evolved from an original preoccupation with incomes and economic growth to a much broader understanding of development. 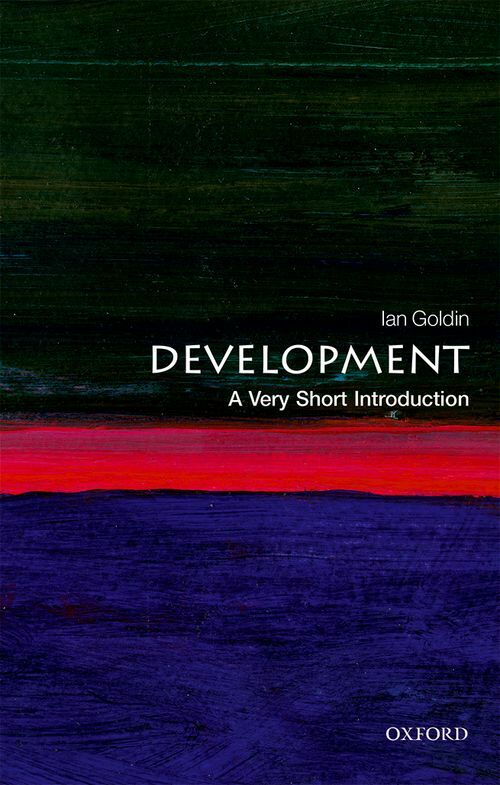 In this Very Short Introduction Ian Goldin considers the contributions that education, health, gender, equity, and other dimensions of human well-being make to development, and discusses why it is also necessary to include the role of institutions and the rule of law as well as sustainability and environmental concerns. 2: How does development happen? 3: Why are some countries rich and others poor? 4: What can be done to accelerate development? Professor Ian Goldin is Director of the Oxford Martin School at the University of Oxford, and Professor of Globalisation and Development. From 2001 to 2006, he was Vice President of the World Bank and the Bank's Director of Development Policy. Following the end of apartheid, Ian was economic adviser to President Mandela and Chief Executive of the Development Bank of Southern Africa Previously, Ian was Principle Economist at the EBRD and Hear of Programmes at the OECD Development Centre. Ian has received wide recognition including having been knighted by the French Government for his services to development, and nominated Global Leader of Tomorrow by the World Economic Forum. His books include Is the Planet Full? (OUP, 2014), Divided Nations (OUP, 2013), and Globalisation for Development (OUP, 2012).